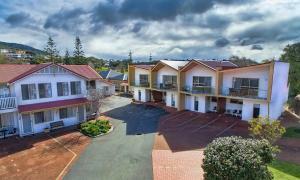 يقع Albany Harbourside Apartments and Houses في منطقة مشهورة للغاية في المدينة. هذا الفندق هو من الخيارات الشائع بين المسافرين. يمكن من هنا للضيوف الاستمتاع بسهولة الوصول إلى كل ما تقدمه هذه المدينة النابضة بالحياة. إن سهولة الوصول من الفندق إلى المعالم السياحية الشهيرة الكثيرة في المدينة هو استثنائي بحد ذاته. إن الخدمات الممتازة وحسن الضيافة العالي في Albany Harbourside Apartments and Houses تجعل إقامتك تجربة لا تنسى. يقدم العقار واي فاي مجاني في جميع الغرف, مطبخ, مكتب الاستقبال على مدار الساعة, تخزين الأمتعة, صف السيارات لضمان الراحة القصوى لضيوفه. لقد جهزت هذه الإقامة الفندقية بعناية فائقة لتوفر مستوى عالي من الراحة. في بعض الغرف يجد النزيل تلفزيون بشاشة مسطحة, شاي مجاني, مناشف, اتصال لاسلكي بالإنترنت, غرف لغير المدخنين. كما أن مجموعة الخدمات الواسعة الموجودة في الفندق لضمان راحتك تترك لك الكثير من الخيارات لقضاء وقتك أثناء فترة إقامتك. إن كنت تتطلع إلى إقامة مريحة وهادئة في المدينة، فستجد في Albany Harbourside Apartments and Houses بيتك الثاني. We were pleasantly surprised with our apartment, which was right on the Harbourside. 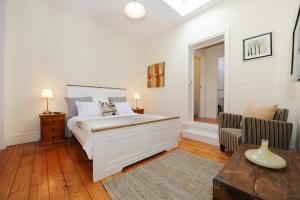 The apartment was beautifully layed out, and had everything that we required and more. Even an electric barbecue on the balcony.The local supermarket was a short 5 minut walk. Everything was clean and we even had a vase of fresh flowers on the table. It did take 2 days to find the laundry- it was down the corridor from our room..We would recommend it to anyone, and would be happy to return. The furnishings could have been a little more comfortable, couch and chairs weren't built for relaxation. Nice spacious home with a nice garden. 1. No harbour view in the apartment I stayed (no. 1) which is on the ground level; 2. Very well equipped, they even provide you with aluminium foil and cling wrap, the only minor concern is some kitchen tools and utensils are quite 'used'; 3. Only 1 bathroom per apartment. The cold and hot water control can be quite tricky and took a while to adjust to the right temperature; 4. The flushing of toilet might not as powerful as in the city's area, just need to be mindful when using it; 5. Wifi is really very intermittent probably because of the location. Recommended. 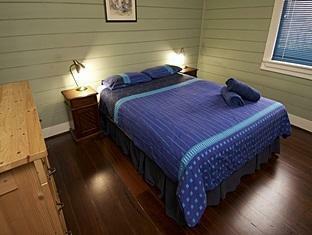 Would return for 2nd stay if I would visit Albany again. Family is helpful. Place is quiet. This property is in a great location close to the waterfront and heritage area and walking distance to restaurants. The single level apartments are great for people with mobility issues and also those like me not wanting to heft my wife's suitcase up a flight of stairs. That said the two storey apartments are equally well set up and have a balcony (we have stayed in both) so you have good optioned depending on your family needs. This place was great! Woke up to a great view every morning and everything we require were there. Great stay! This was our second stay and was as rewarding as the first. 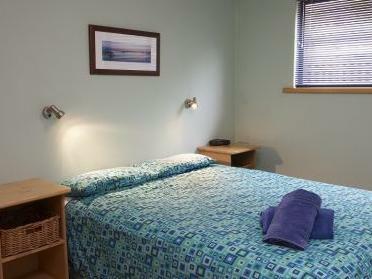 Excellent fascilities, warm, helpful people and a great location. Could not reccomend it too highly. We were greeted nicely with the owners and shown our apartments. Had a two bedrooms apartment and it was great! Room was very clean and huge. 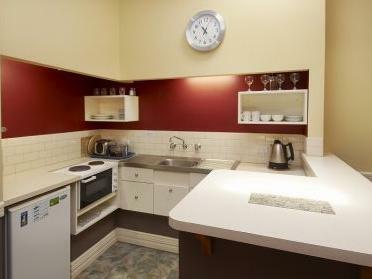 Kitchenette was very well equipped and the location is very central to the town centre we could walk to. We were really happy with the stay and will definitely come back! 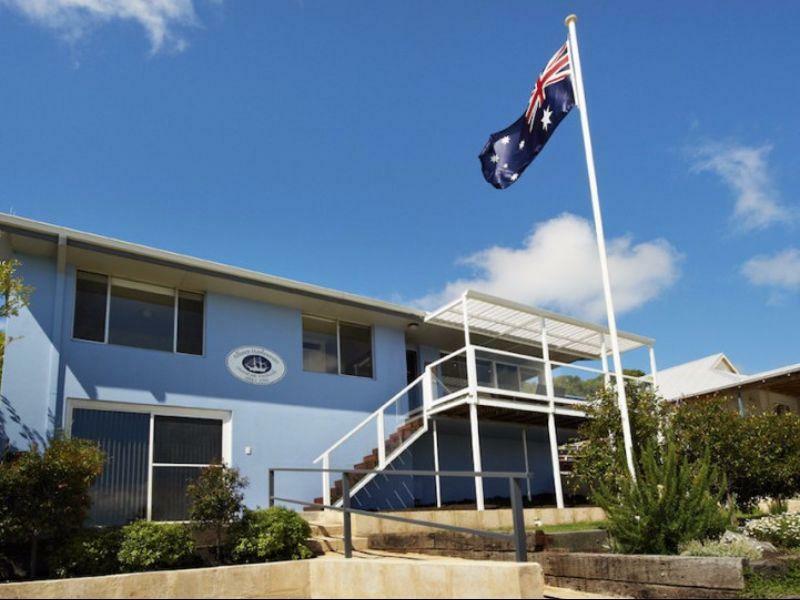 Central location, friendly staff/owners and the accommodation is amazing! Very modern and spacious. We won't stay anywhere else! The management are so friendly and helpful. 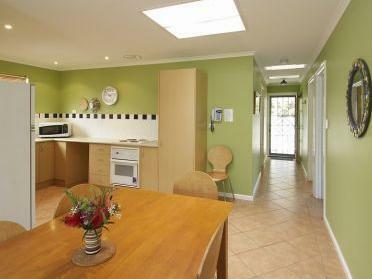 The accommodation is modern, spacious, immaculate and amazing value for money!! Our stay was excellent. Looking forward to coming back. The stay was great! House owner welcomed us personally and introduced us to Albany! Location of the house was very near to city and has a supermarket just very nearby. House was clean and had everything that we needed to make ourselves feel at home! We stayed in the apartments adjacent to the visitor centre and railway (now bus) station. The apartment was quite nice, roomy, and had everything you need. The stairs to reach the apartment might be a problem for some, but not for us, and you can park right outside. The only negative about the apartment itself was that it had not been cleaned properly. 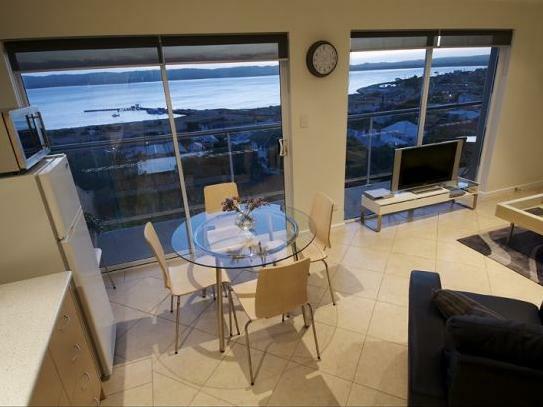 Future guests should be aware that these apartments have only glimpses of the harbour, not water views as such. And they are next to a working train line, and overlook a car park. That said, they are very central to Albany shops and local attractions (museum etc.). But this is a working port, so expect some noise and traffic. It's actually quite interesting and not too noisy. Overall, these apartments are reasonable value, and I'd rate them as 3.5 star. We had an enjoyable stay at the apartment. Loved the structure of the cottage. 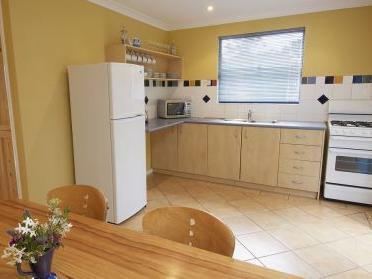 It has a fully equipped kitchen where we cooked our meals. There were extra blankets and pillows which were very handy. The opener Mark was friendly and prompt.